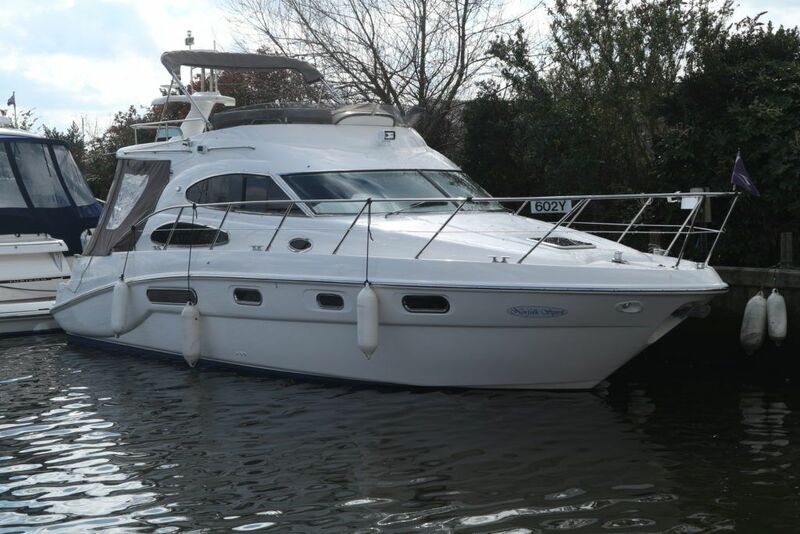 LOA (Metres/Feet): 11.71m / 38' 5"
Beam (Metres/Feet): 03.76m / 12' 4"
SEALINE F37 – 2004 – Powered by Twin Volvo KAMD300 diesels. 6 berth accommodation with one toilet and one shower facility. Specification to include; Eberspacher warm air heating, bowthruster, electric windlass, a range of Raymarine navigation equipment, shore power supply with battery charger and much more! A lovely example, presented in very good order!